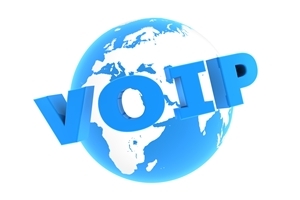 One of the hottest business technologies of the last few years has been VoIP or voice-over IP communication technology. Basically the ability to make phone calls over the internet, many consumers frequently use these services in the form of Skype and Google's Gchat or Hangout features. However, many companies are saving money by using a corporate version of the technology and are now looking for a way to take it even further. In many instances, the answer to that is using mobile devices. According to a study by Infonetics, by the end of 2012, there were more than 640 million over-the-top mobile VoIP subscribers worldwide. That amounts to a 550 percent increase. This increase is expecting to continue as mobile devices find their way into the hands of more consumers, the strength and availability of wireless networks and the creation of VoIP capabilities over LTE networks. This is compounded by the growing popularity of bring-your-own-device (BYOD) practices in the business world. With the right series of mobile applications and network upgrades, any company can easily add workers' devices to company workflow and help employees stay connected with each other, consumers and vendors. However, doing that is easier said than done. While it can be easy to hand out the wireless password to every employee and allow them to download the VoIP related application, that does not account for security concerns, network log jams and the challenge of managing employee owned devices. An IT consulting company that specializes with iPad deployments can go a long way toward optimizing mobile devices in every aspect of workflow.